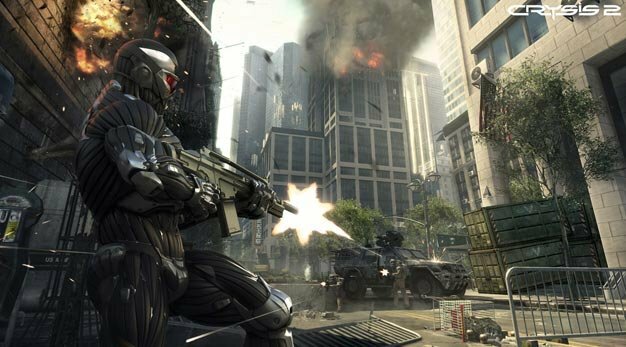 Crytek has released the first two screenshots from their holiday-bound Crysis 2, and they certainly look polished to a high sheen. Chances are these are from a maxed out PC version and the Xbox 360 or PlayStation 3 versions won’t end up looking quite like this though. Still, so pretty. More media from the multiplatform shooter will come “in the near future,” Crytek says, likely meaning during the Game Developers Conference next week where Crytek will be showing off CryEngine 3 in stereoscopic 3D as well as the engine’s LiveCreate capabilities.